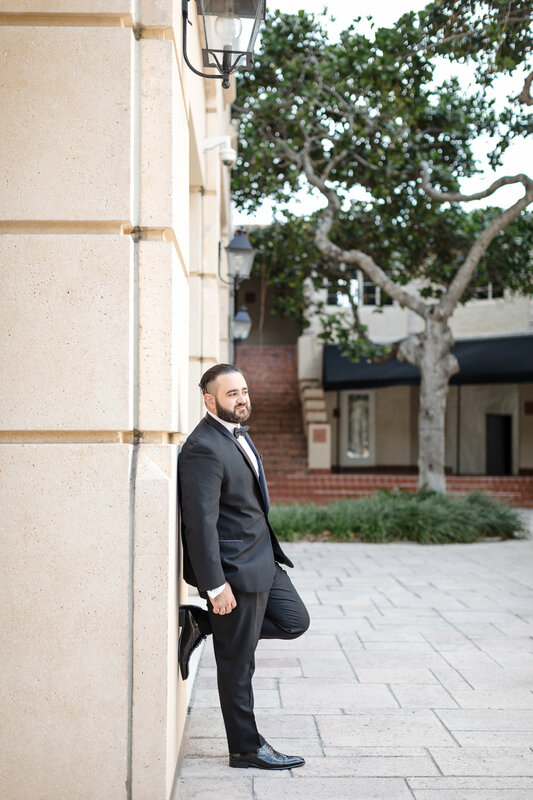 Lauren & Nick had a beautiful wedding at Douglas Entrance in Coral Gables Miami, and I am so excited to share all of their heartfelt moments with you!! 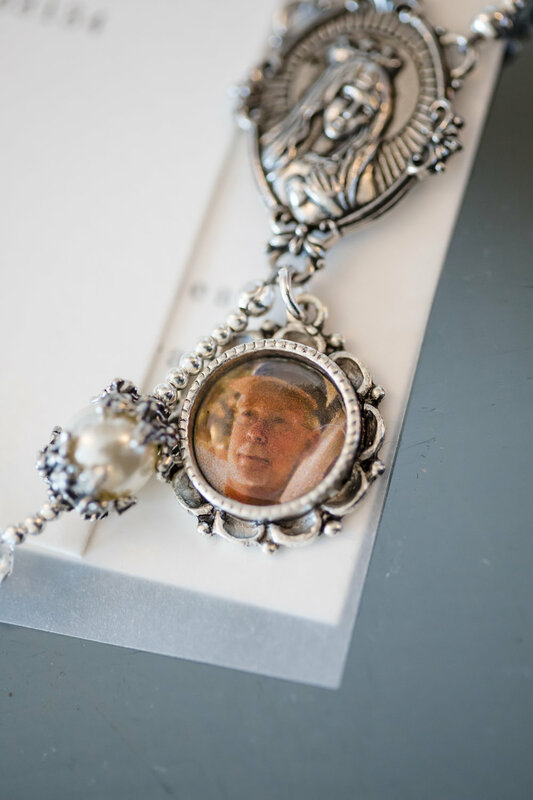 Lauren & Nick’s wedding day was full chock full of so many amazing things. The bride and groom prepared for the day in separate locations, with their respective bridal parties. Lauren and her bridesmaids popped champagne in matching silk robes (white robe for the bride and gold robes for the ladies) in front of a ‘best day ever’ balloon arch which was displayed just above the bed at her bridal suite in the Hyatt Regency Coral Gables! 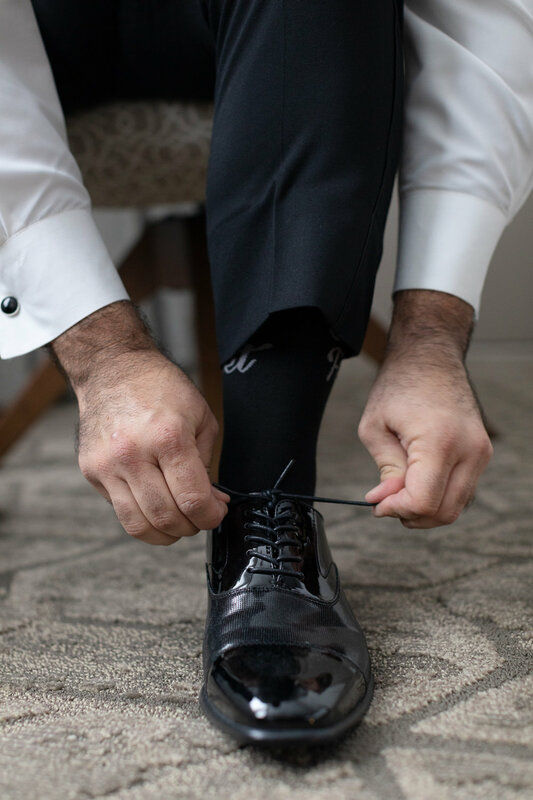 Nick slipped on his Marvel themed superhero suspenders and tux jacket in his suite at Douglas Entrance before he and his groomsmen toasted the day with a quick shot! The bride and groom opted to have a first look by the sprawling fountain at Douglas Entrance before meeting each other down the aisle! You bet that I caught every moment of Lauren walking up to her groom from behind with her sweeping long cathedral veil & train behind her just as tapped her groom on the shoulder. 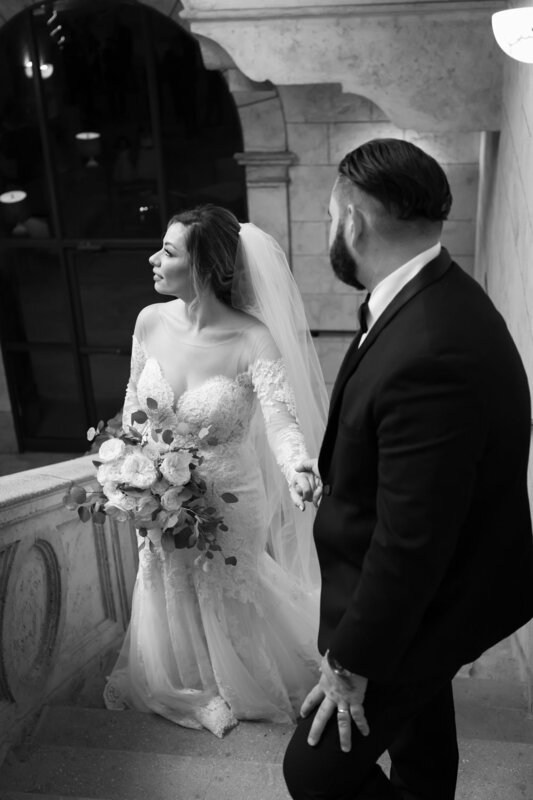 Nick’s eyes were full on sparkling and he was smiling from ear to ear when he turned around to see his beautiful bride waiting for him in what was literally a picture perfect moment. Ceremony time at St. Marks Catholic Church was full of happy tears, and a bridal entrance that will have you smiling from ear to ear! Lauren was truly beaming at she met her groom at the altar. After the wedding ceremony, I spent some time alone with the bride and groom to capture all of those newlywed feels! When your venue has gorgeous architecture with a stone stairway and an oversized perfectly placed chandelier, you bet that we are going to make the most of it! 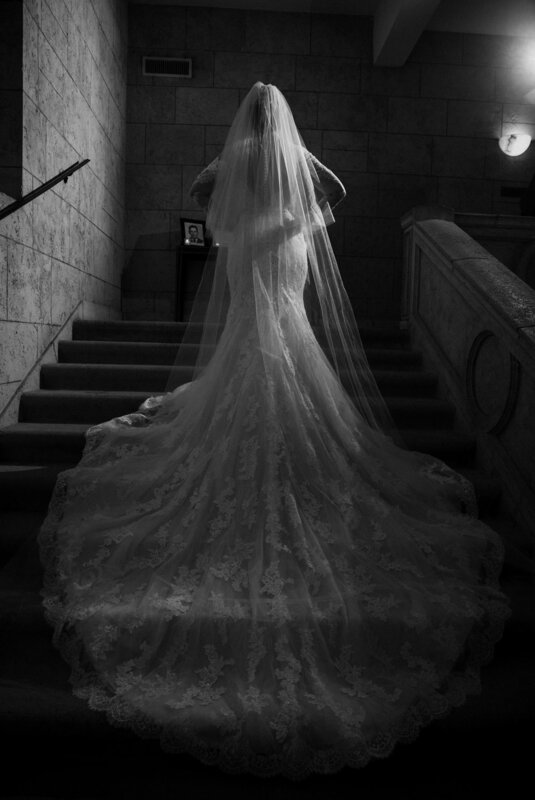 We played around a bit with the train on Lauren’s bridal gown as well as her veil to make sure that it was perfectly placed on the stairway for some black and white wedding photography! Lauren & Nick’s wedding reception was full of hand-holding, close dancing, and tons of newlywed kisses, aren’t those the best?! Lauren had a very sweet emotional first dance with her mom, and Nick had one with his mom as well, wait until you see them both! Keep scrolling to see more of Lauren & Nick’s wedding at Douglas Entrance in Miami!